Do anda anda think the “Next time on Power Rangers...” promos in the end each episode for some seasons spoil to much? So I've seen a load of poling asking about favourite Red Rangers, Blue Rangers, Pink, Yellow, male and female Rangers; all that stuff, but funnily I don't see many regarding the sixth Rangers. That may be because I don't look too hard, but still. Here is a idea that shows it is totally a original reboot of the current PR series [Like batman Begins]; to me it's a total reimagination of the franchise. The way this is, I'm kind of bringing back the Mighty Morphin days with Zordon and Alpha, but tampilkan a modern twist for the selanjutnya generation. So, here is what called the daftar of the first Power Rnagers, villains (No Rita atau Zedd), and episode stories. As a child growing up in the early 1990s, I would watch Power Rangers every hari EXCEPT Sunday especially in the afternoon after I would come halaman awal from school and made sure my homework was done before hand. a comment was made to the poll: Do anda anda think the “Next time on Power Rangers...” promos in the end each episode for some seasons spoil to much? a poll telah ditambahkan: Do anda anda think the “Next time on Power Rangers...” promos in the end each episode for some seasons spoil to much? 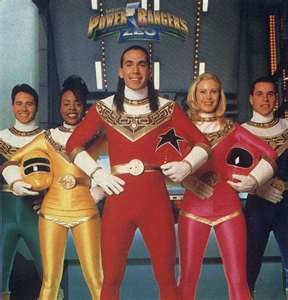 a pop quiz question telah ditambahkan: Which of the Rangers DID NOT lose their memory in the episode The Last Ranger? a comment was made to the poll: (Updated 3.0) favorit unmorphed Red Ranger? Which Ranger berkata this: I've had enough of this game and Prince Sprockett.